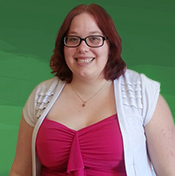 Kayleigh has degrees in marketing and economics from Fort Lewis College in Durango. As an account manager she enjoys working with web code and excels in making SEO-effective backend edits to client websites. In her free time, Kayleigh like to spend time with family, her pets and her husband.